The musician released single Pretzelbodylogic with his new group 3RDEYEGIRL on Monday, but the track is hardly proving a big draw. Midweek predictions from the Official Charts Company suggest the track will not make it into the top 100 if current sales levels continue into the weekend. 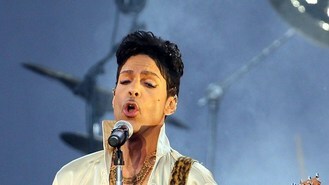 Prince has not had a top ten hit with a new song for more than 20 years. His career fell into the doldrums in the late 1990s but he enjoyed a new wave of popularity in 2007 when he performed a residency at London's O2 Arena. His new group - featuring three female musicians - is releasing an album Plectrumelectrum which is due for release later this year.